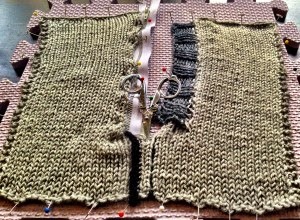 This coming Sunday (9/21/2014) I'm going to take a class on steeking! I'm excited and frightened to cut into some knitting. If you are near the DMV-area register now at WoolWinders yarn shop to learn and master this technique from Terry!